Beautiful jewelry and gems could be seen at the annual HKTDC-sponsored jewelry and gem shows held this past March. Importantly, given the current economic situation, the 33rd edition of the Hong Kong International Jewellery Show and the 3rd edition of the Hong Kong International Diamond, Gem & Pearl Show both concluded with increased attendance. The slide show features a number of creative Asian designers and brands along with several brands from around the world. Long lines to register for the March HK shows. Attendance was up 5.4% over last year's event. Multi-gemstone, diamond and gold ring by Mokoso (Thailand). 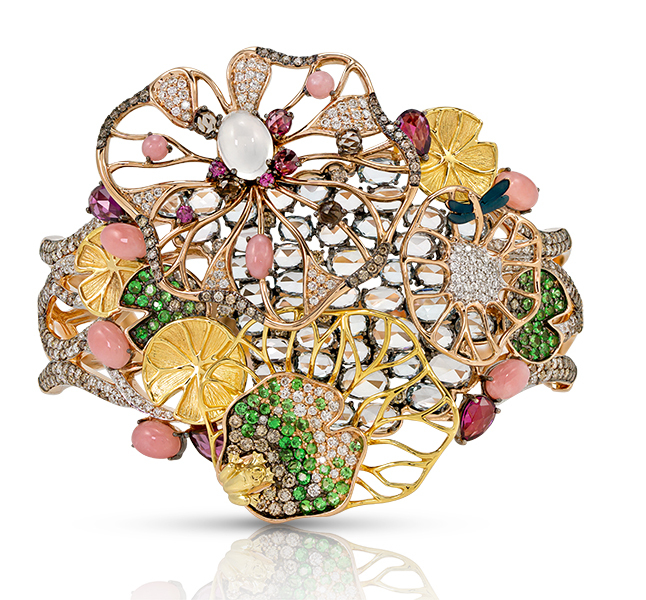 Multi-gem and diamond brooch by Caratell (Singapore). 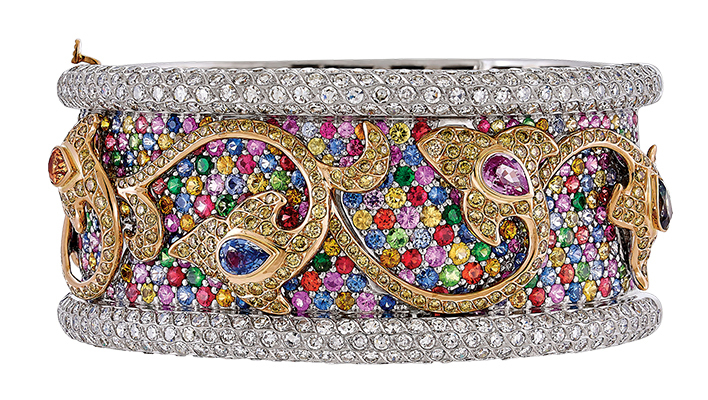 Multi-gem and diamond bracelet by Zorab Atelier (Thailand). Sign at one of the booths in the diamond section of the Gem Show... a reflection of the times? Aquamarine cat's-eyes from Tavares Gems (Brazil). Blue and pink tourmaline from Aminco (Nigeria). 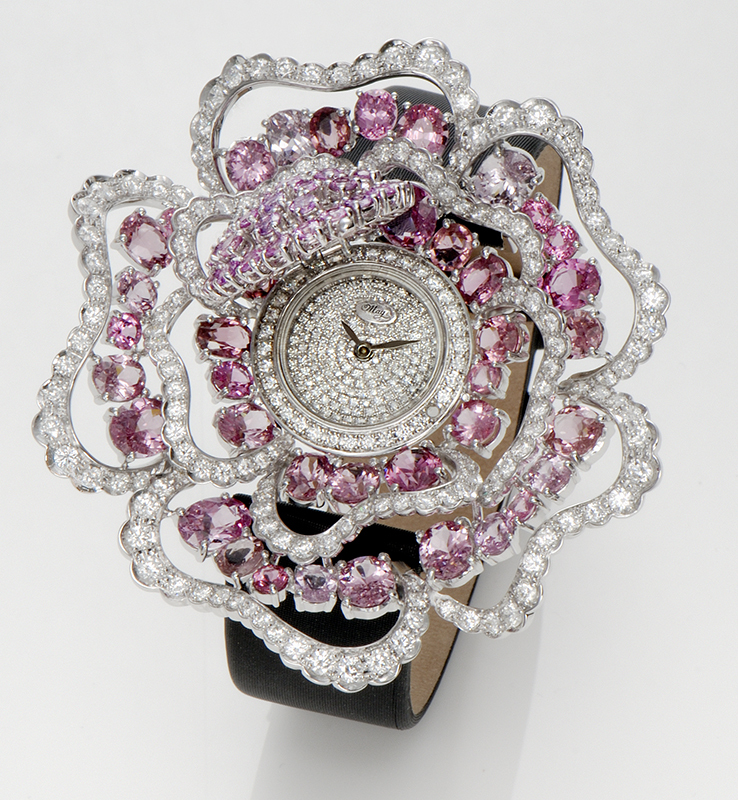 Sapphire and diamond "secret" watch by May Jewelry (Japan). Prasiolite and morganite rings by Baerjewel (Hong Kong). 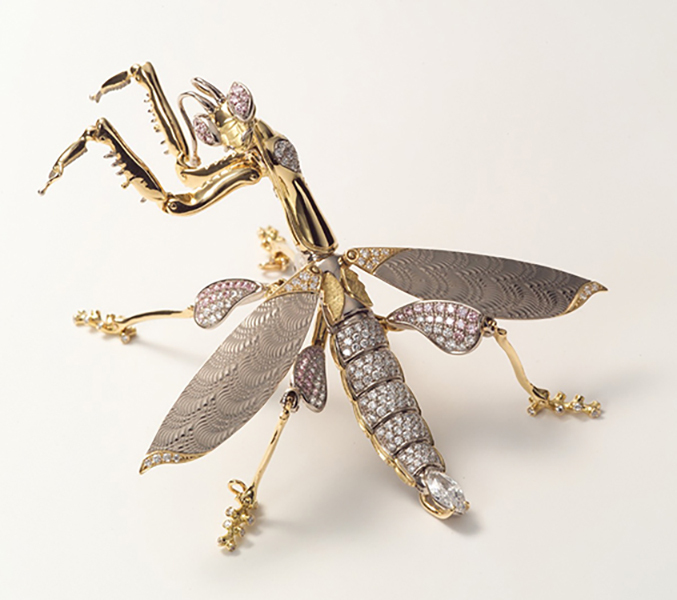 Fully articulated gold and diamond Praying Mantis brooch by Jizai Art Jewelry (Japan). 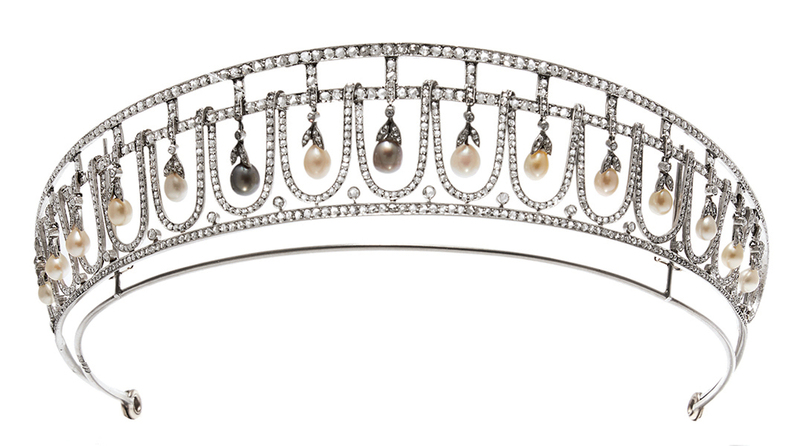 Antique jewelry was also on display in Hong Kong such as this 1910 Tiara made of natural pearls and diamonds by Palais Royal (Hong Kong). Moonstone, tourmaline and pearl necklace with wollo beads by Mathon Paris (France). More than 80,000 buyers from 147 countries and regions gathered in Hong Kong in March to see the wares of some 4380 exhibitors from 54 nations, an increase of 5.4% over last year. Now in its 33rd year, and held at the Hong Kong Convention and Exhibition Centre, the Jewellery Show attracted more than 49,000 buyers who came to see the wide variety of products offered by some 2502 exhibitors from around the world, including major pavilions for Italy, Japan, and the USA. Located near the airport, AsiaWorld-Expo welcomed 31,000 buyers who came to see the gems offered by some 1886 exhibitors at the Diamond, Gem & Pearl Show. 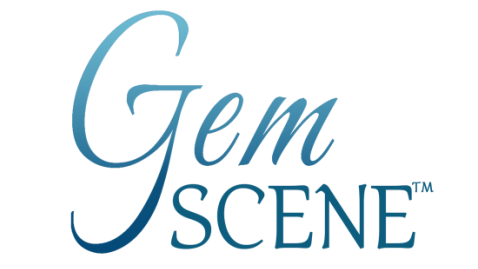 The majority of attendees and exhibitors at both shows were from overseas, demonstrating that Hong Kong is truly the global marketplace for gem and jewelry products. Opening two days earlier (March 1 to March 5) than the jewelry event the Hong Kong Diamond, Gem & Pearl Show featured a vast assortment of products. Diamonds occupied a large portion of the show (730 exhibitors) with Antwerp and Israel hosting the largest pavilions, followed by other national groups. Optimistic for diamond sales in 2016, Eli Avidar, managing director of the Israel Diamond Institute (IDI), indicated that Hong Kong is Israel’s second largest market for polished diamonds, representing nearly 30 percent of total polished diamond exports. With the topic of lab-grown diamonds on many minds, HRD Antwerp presented M-Screen (introduced last September) that screens brilliants for lab-grown or HPHT color-enhanced diamonds and simulants at the rate of two to three diamonds a second. HRD Antwerp offered screening services for melee diamonds at its booth during the show. In addition to colored and white diamonds, customers were interested in sliced, ice, and milky diamonds, stated Sandeep Jain, owner of Thailand-based Deep Impex, who expressed satisfaction with the fair. Joining the colored stone section this year was a special tanzanite pavilion sponsored by the Tanzanite Foundation. Among the tanzanite exhibitors elsewhere were USA-based AG Color and Intercolor. Hemant Phophaliya, AG Color president, indicated that sales were ok, given the current economic climate and mentioned that the brand is focusing on USA buyers at the show, as well as potential buyers from Europe and Asia. Benjamin Hackman, director of Intercolor, agreed, adding that, while prices were still down, he sees signs of recovery, and that Intercolor offers a wide range of sizes and cuts to choose from. Still in the green theme, Hong Kong company, Olynthos, filled its showcases with remarkable chrysoprase and imperial chrysoprase, in rough, faceted and beads. Continuing to see buyers from China and even a few from the USA was Clement Sabbagh of Brazil-based Sabbagh Bros. “We have been doing well with Madeira citrine and morganite, as well as prasiolite and mint green dendritic agates. Chinese buyers seem to appreciate these colors.” He added that, in general, prices were down somewhat, especially for tourmaline. 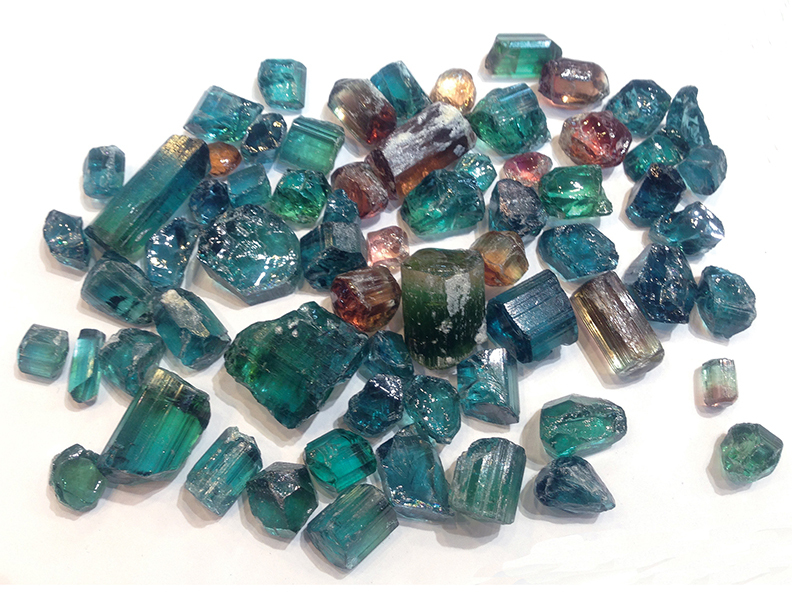 Brazil-based Tavares Gems specializes in cats-eye gems—including tourmaline, aquamarine and chrysoberyl—and reported that while demand for larger stones was slow, the small and medium-size gems (up to 10 cts) were selling better. Similar sentiments were expressed by Douglas Neves at Brazil-based Neves Gems. 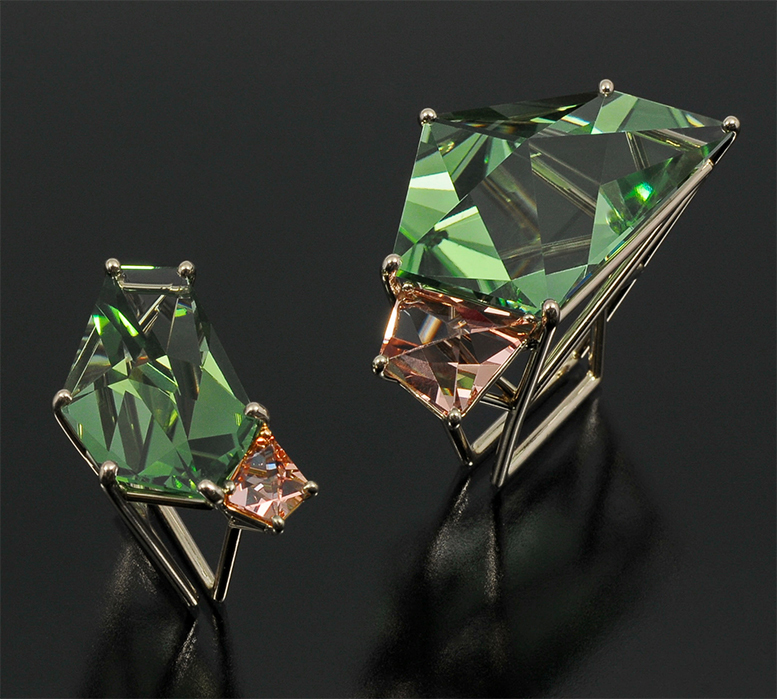 He indicated that five to ten-carat tourmalines fared better than the larger gems. He also explained that demand for green has slowed but that rubellite continues to be attractive to Chinese buyers. Rahul Jain, of Germany-based Caram, stated that a number of Chinese customers came to see the company’s Sri Lankan sapphires, adding that prices still are a bit soft. He also offered a remarkable 15-ct Burmese blue sapphire as well as an extraordinary 65-carat Colombian emerald. The best-sellers at USA-based Sparkles & Colors, were rubies and sapphires. Owner Sailesh Lakhi indicated that prices continue to fluctuate for sapphires while prices of rubies remain high, especially Burmese gems. Similar sentiments were expressed by Altaf Iqbal, owner of Sri Lanka-based Regal Gems, which showcased a variety of beautiful Sri Lankan gems, including a lovely star ruby. USA-based John M. Bachman, Inc. also showed off a wide variety of Sri Lankan gems, including a beautiful 202.59-ct yellow sapphire and a remarkable 440.48-ct green beryl. 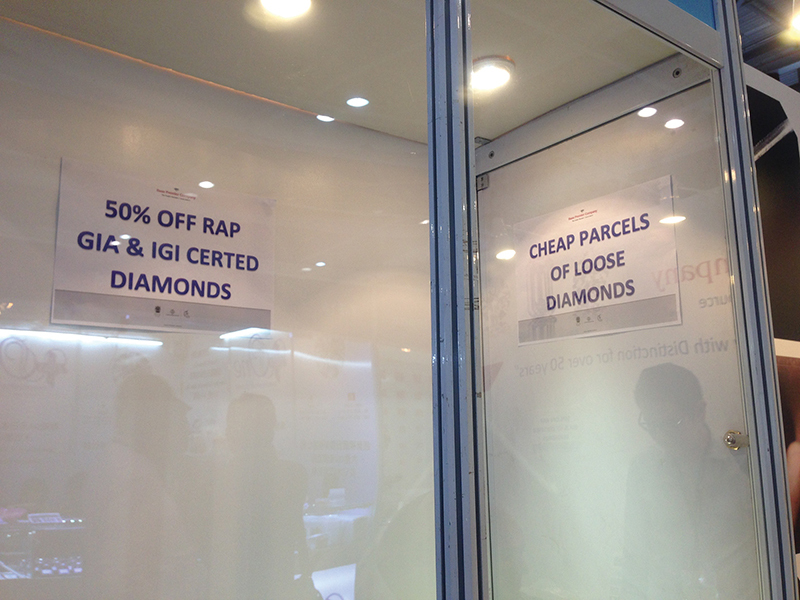 A new exhibitor at the show was Thailand-based Aminco Gems, a subsidiary of the Nigerian enterprise A.A.Y. International Mining Company, Ltd, which offered an interesting selection of blue tourmaline and rubellite, among other gems. “The blue and pink tourmalines attracted a lot of attention from buyers around the world,” commented Zoe Michelou, marketing manager, explaining that the stones are from Nigeria. On the opal front, Neil Kandira, of Japan-based Anjali Jewels, indicated that while prices are soft for many gems, including tourmaline, they were holding fairly steady for Burmese goods, especially ruby. “We are also seeing a lot of interest in our fossilized opals,” he remarked, adding that they are seeing less buyers from China and the USA, but more from the general Asian region. As usual, the range of jewelry at the convention center location (March 3 to 7) was incredibly wide, from inexpensive crystal-set pieces to everyday wearable jewelry to multi-million dollar luxury jewels, from packaging and accessories to watches, created by brands and companies from around the globe. Made up of eight themed halls, the jewelry show this year added a new bridal section, Wedding Bijoux, which put the spotlight on a range of bridal jewelry. A special machinery section was also added this year. A jewelry-related event was the Dancing Stone Award ceremony sponsored by Japan-based Crossfor. “This award honors the creative jewelry manufacturers, which are Dancing Stone licensees, for their innovative designs, promotions and market development of Dancing Stone products, using Crossfor elements,” explained Hidetaka Dobashi, CEO. Since its creation 3.5 years ago, more than 8.8 million Dancing Stone pieces have been sold, using the patented technique that can accommodate stones ranging from 0.05-ct to 2.75-ct. The delightful and twinkling Dancing Stones have been licensed to a number of brands around the world. Among the hundreds of notable brands and companies in the jewelry section, there is space to mention but a few, although we offer a glimpse into their products through the additional photos in this article. The Designer Galleria showcased a number of rising stars as well as some smaller but nonetheless popular brands. The creative Hong Kong-based brand Green G, continued along its path of colorful Nature-inspired jewels, while Korea-based Gina displayed jewelry made from actual flowers and leaves. Japan-based May Jewelry offered a delightful range of bejeweled perfume bottle pendants among other lovely pieces. Noted French designer, Isabelle Langlois, offered a selection of gemstone jewels, while Japanese creator, Jurio Fujita, dazzled with his golden nails and Basket rings. Taiwan designer, Ammie Kang, presented a variety of dazzling jewels under her brand name, Top Kang. Among the most unusual creations in the Designer Galleria were the insects created by Japan-based ​Jizai At Jewelry/Kodama. These amazing and delightful little creatures, with fully articulated legs and wings are crafted in gold and diamonds and made quite an impression at the show. Treading into the world of accessories, Anita So of Hong Kong-based Osatina created eyewear and watches using precious jade and other gems. USA/Korea-based Andronike displayed a wide selection of affordable silver and diamond designs, while Singapore-based Caratell showcased a splendid collection of high-end gold, gemstone and diamond pieces. In the Hall of Extraordinary and Hall of Fame were many internationally known brands. Among them was India-based Bapalal Keshavlal, with its customary high jewelry in diamonds and emeralds or rubies. Also featuring high jewelry was Belford, with a remarkable selection of Paraiba pieces. Thailand-based Mousson Atelier presented a variety of sculptural statement pieces. A new brand, established in Russia in 2008, Mousson has erupted onto the fine jewelry scene in a dramatic fashion with its spectacular, design-led creations. Another relatively recent brand that attracted a lot of attention with its design-focused pieces was Mokoso. Launched three years ago by Thailand-based MKS Jewelry, Mokoso specializes in fashionable and affordable colored gemstone jewelry set in 18K gold and currently has nearly 40 collections in its portfolio. As for products, half of those polled expect white karat gold to be the most popular this year, followed by rose karat gold (38%) and yellow karat gold (31%). In terms of gems, diamond (54%) remains the top choice, followed by pearl (17%) and ruby (15%). By product category, respondents are the most optimistic about trendy & fashion jewelry followed by fine jewelry and bridal pieces. The industry’s views on business operations this year showed that 43% expect the major challenge to come from increases in operating costs, followed by sluggish mature markets (40%) and price fluctuations of raw materials (32%).